Today is a Golden Lettered Day for the Travelogue of An Armchair Traveller. In a matter of just one year, four month and 3 days the blog had its Hundred Thousandth (100,000) visitor. 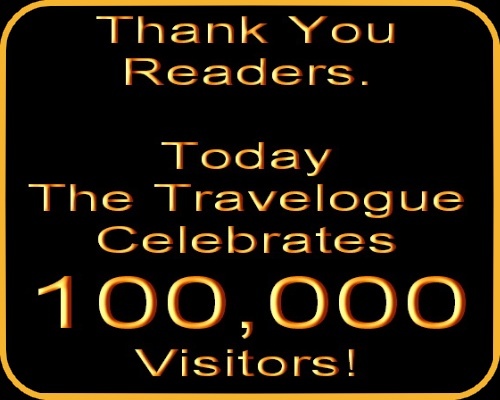 The travelogue which was started on 1st January 2009 has had a steady increase in readership and is now having about 350 hits per day. I would like to express my heart felt Thank You to all my followers and readers with special thanks to all those who have been sending me comments and suggestions. Please do keep visiting. I also look forward to more comments/suggestions from my readers/followers. 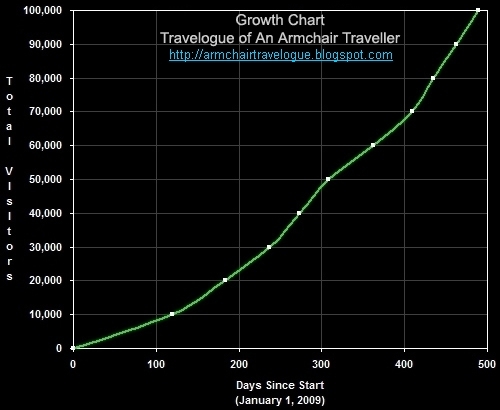 CuriousJM - The Armchair Traveller.